8th Note Heart Band Necklace – Show off your love for music with this awesome affirmation necklace. 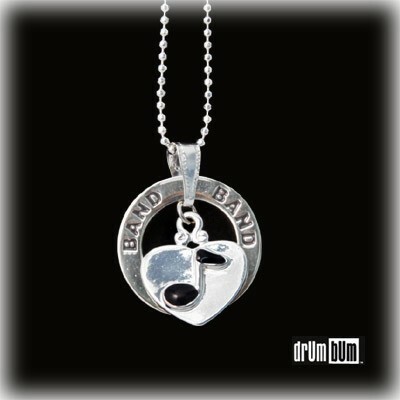 The brilliant, silver-plated necklace features a 8th note heart charm over silver-plated ring with the word “Band” engraved around it. The charm hangs beautifully from a beaded 18″ necklace. The pendant is approx. 0.875″ x 0.875″. Elegant Music Note Jewelry for Musicians!